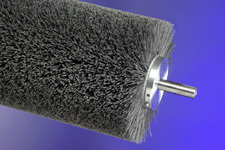 Abrasive Brushes for Textile Sueding | Industrial Brush Company, Inc.
Industrial Brush Company offers a complete line of Textile Sueding Brushes. 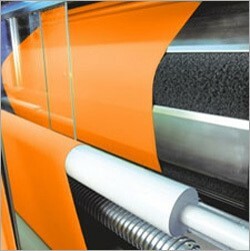 We have over 70 years of experience working with OEM Equipment Builders, and End Users of Textile Sueding equipment. 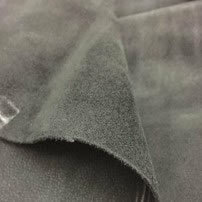 Textile Sueding is a mechanical finishing process in which fabric is abraded on one or both sides to raise or create a fibrous fuzzy surface. 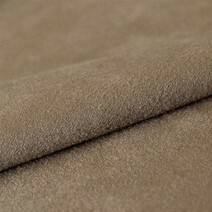 It modifies the appearance and the hand or softness of the fabric. 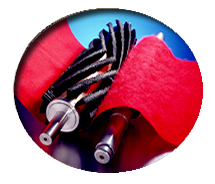 Industrial Brush Company has the manufacturing capabilities to make large dynamically balanced, Abrasive Sueding Brushes. Sueding requires a full, dense brush. Our “Fineset” brush maximizes bristles per square inch with uniform density for streak free Sueding. 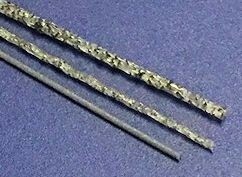 We offer brushes in Silicon Carbide, Aluminum Oxide and Ceramic Grits from 500 grit to 60 grit. The grit is impregnated throughout the filament giving our Sueding Brushes stable sanding performance with superior life compared with Sandpaper wrapped rollers. As the Brush wears it exposes fresh grit. Each brush core is manufactured using steel components and integral core designs for a rigid fit. The cores are dynamically balanced at operational speeds to ensure vibration-less performance. Our brushes are designed to be striped and re-bristled to their original "like new" condition whenever they become excessively worn. Cores are carefully examined for shaft wear, core straightness, and balance. Repairs are made and new bristles are applied. Re-trim services are also available whenever uneven bristle wear appears. Both of these services are available to customers who have brushes made by Industrial Brush Company or a competitor. The savings on Re-bristle and Re-trim brushes is substantial.